In 1987 a distant cousin, Connie McCarter, wrote to our family in Boise and asked if we belonged to the long-lost Idaho branch of the family. 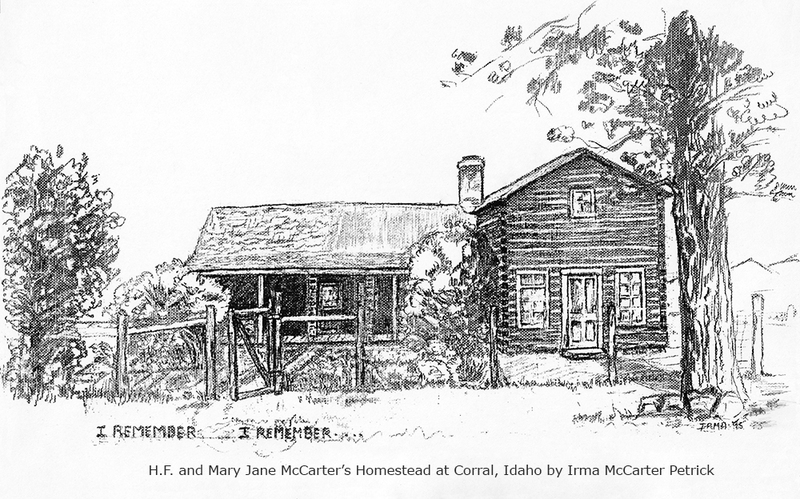 She had been tracing all of the descendants of Philander and Thurza (Williams) McCarter of Grayson County, Virginia and wondered if we were related to their son, Hugh Franklin McCarter, who had set out for Idaho Territory in the late 1880s. When we told her that we were descendants of H.F., she kindly shared her research with us, and so our obsession with genealogy began. On these pages you will find almost all of our family research of the last 30 years. It's been a collaborative effort of immediate family, distant cousins, friends, and complete strangers who were kind enough to share their photos, stories, and records. We hope you enjoy this site and come back often.